Independence Day is one of the most festive holidays in the United States, and as such, it's a great time to visit. Cities all over the country celebrate by having large 4th of July fireworks displays, patriotic parades, and street parties. Here's where to head to catch the best celebrations near you. An Independence Day highlight in New York City is Macy's stupendous Fourth of July fireworks, set off from several locations from barges on the East River. If you want to secure the best spot, leave early to go to South Street Seaport, Brooklyn Bridge Park, and the elevated pedestrian sections of FDR Drive. 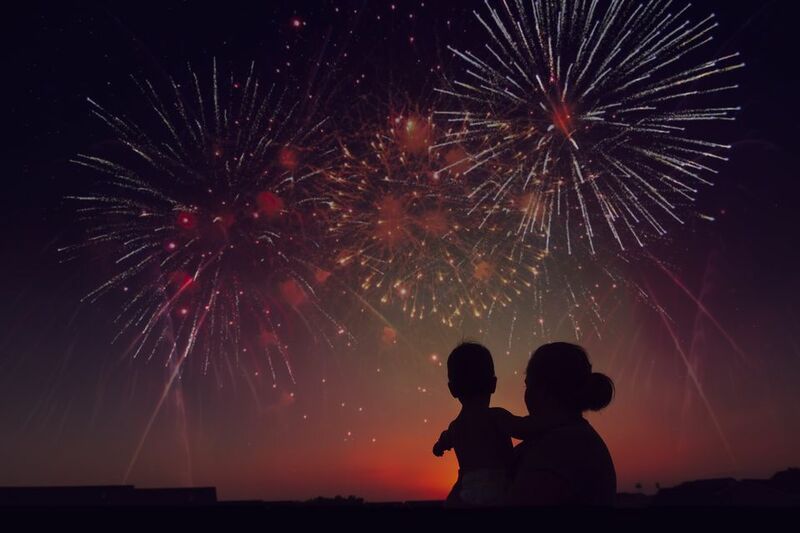 The historic towns and cities of New England played a big role in America's independence, so it's no surprise that they go all out for Fourth of July, with parades, family-friendly events, and lavish fireworks displays. Bristol, Rhode Island, has the longest-running Independence Day celebration (held since 1785) while other small towns, like Bar Harbor, Maine, put on New England-style events, including seafood festivals, lobster races, and sailboat shows. Beantown is famous for its fireworks display accompanied live by the world-famous Boston Pops Orchestra, which always ends the night with Tchaikovsky’s iconic 1812 Overture, complete with cannon fire. Fireworks blast off from seven barges along the Charles River while fans watch from the DCR Hatch Shell on the esplanade or along the Longfellow Bridges. Colonial Williamsburg is living history: real-life actors take over the historic houses and bring to life the days before the American Revolution. Expect fireworks, and the chance to ask a Thomas Jefferson or Patrick Henry replica a few history questions. Of course, nothing tops the National Independence Day Parade in the capital. The celebration starts along Constitution Avenue; in the afternoon, there's the annual Smithsonian Festival of American Folklife; and the National Archives has a Family Day. In the evening, the biggest fireworks show in the country blasts off from the Reflecting Pool and lights up the sky above the Capitol, White House, and Washington Monument for almost 20 minutes. Virginia Beach puts on its annual Stars & Stripes Explosion for July Fourth. Thousands of visitors flock to the waterfront stages to see marching bands and other local musicians, followed by spectacular fireworks over the ocean. On July Fourth, Navy Pier—which has firework shows all summer—will have a special red, white, and blue fireworks display. This Dallas suburb is usually only 19,000 residents strong but when July Fourth comes around, the town swells to a staggering 500,000 people celebrating Independence Day. Its 30-minute show is not one to miss as 3,500 pounds of fireworks light up the sky. Music City hosts one of the biggest fireworks shows in the country, lasting just over a half hour, accompanied by the Nashville Symphony Orchestra. Catch all the action on Broadway and First Avenue, along the Cumberland River. Festivities and live entertainment at Eleanor Tinsley Park, in the heart of downtown Houston, leading up to the nation's largest land-based fireworks show. Ring in America's birthday in New Orleans style at the Go 4th on the River bash, which features vintage victory bands and the "Dueling Barges Fireworks Extravaganza" over the riverfront. Missouri's free Fair St. Louis is held along the Mississippi River at the Gateway Arch. Here, 15,000 pounds of fireworks light up the sky over three nights. L.A. has Fourth festivals, fireworks, BBQ's, and more, from downtown to the Valley. The Rose Bowl stadium, in Pasadena, has a day-long festival with live music, food, entertainment, and the biggest and best fireworks show in Southern California. The fireworks reflecting on the calm waters of Lake Tahoe, with the gorgeous Sierra Nevada mountains in the background, really make this one of the most scenic celebrations. The 25-minute show attracts some 125,000 people to the area. Head to the south end of the lake, in areas like El Dorado Beach, Nevada Beach, and Timber Cove Marina for the best views. Salt Lake City celebrates Independence Day in western style, with rodeos, live country music, horse races, and more. Don't miss Park City's fireworks displays, which are the largest in the area.